One of our top selling Alto Saxophone ligatures. 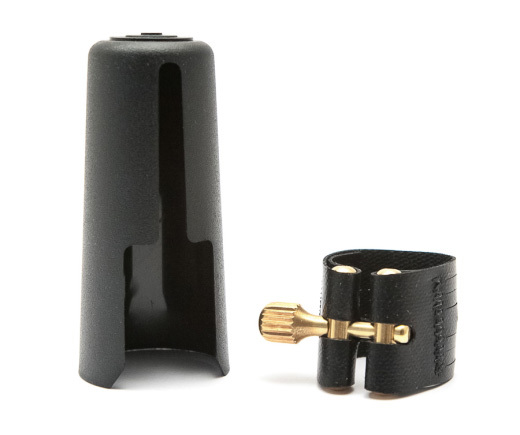 This Rovner 1RL Alto Sax ligature is suitable to fit most ebonite or plastic alto sax mouthpieces, and some slimline tenor ebonite mouthpieces, including Larsen and some Vandoren. This ligature is from Rovners Dark range which is renowned for a full centered warm sound. Made in the USA the Rovner Dark range has been around since 1974 and enjoyed massive popularity with classical and jazz players alike. It's ideal for any player wanting a broad, rich, supported tone with plenty of depth. The one screw design and material used ensures the ligature does not slip or move during performance or adjustment. I bought the item to replace a standard Trevor James Ligature that I found awkward to use and setup.